When the magazine first sent me Keith’s sizes, I couldn’t believe it. Clearly these weren’t right. From all the pictures and videos I’d seen of him, I assumed he was average-sized. 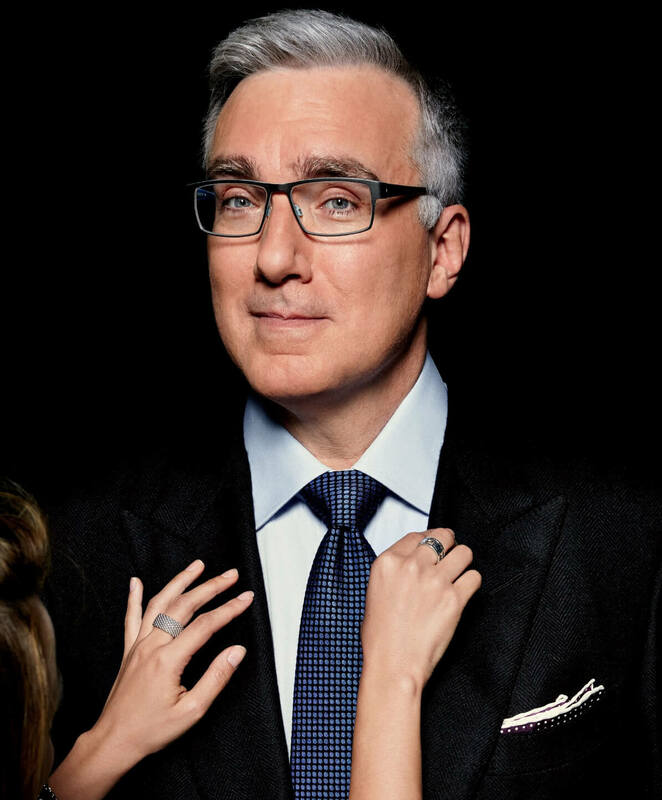 Upon confirmation that the measurements were accurate, I realized that Olbermann was a master of proportions. 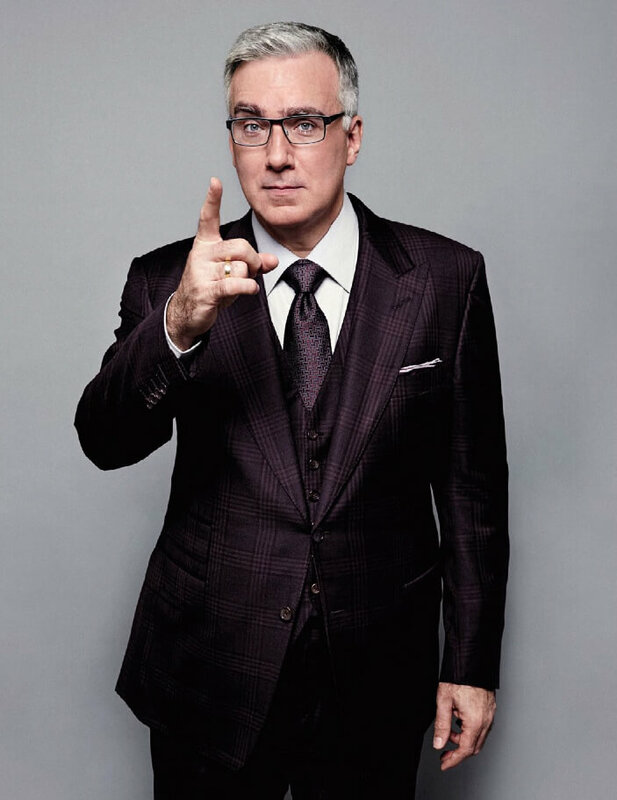 Keith has consistently worn perfectly fitted suits for his stature. Couple that with appropriate-sized lapels, dress shirts with spread collars, and perfect tie widths and you’ll fool even a professional, like myself, into thinking you’re average-sized. Example: The image below shows Eric Stonestreet (L) and Olbermann (R). Would you guess that they’re about the same size? I’ve met them both and they’re closer in size than you’d think. This highlights exactly what I’m saying. Eric is wearing a suit with regular width lapels and a skinny tie. Notice how he looks way larger than Keith? To overcome Keith’s size, and what I would’ve done with Eric, I went with wide lapels, which have an amazing slimming effect on larger builds. One thing Eric did correctly was wear a dress shirt with a spread collar. Unfortunately, he should’ve chosen a wide tie (3.5″ at it’s widest point) and tied an equally substantial full Windsor knot to finish off his look, which is great for guys who are tall and/or have large torsos. The width and knot of your tie should ALWAYS be in proportion with the lapels of your suit and the spread of your collar.